Blame Miss Barclay is the best British hip hop album I’ve heard since A Grand Don’t Come For Free (I don’t listen to much of the genre so that statement isn’t as bold or complimentary as it initially sounds). There’s a certain element of Mike Skinner in the majority of Mikill Pane’s debut album, and it comes from Pane’s ability to spin a story and do so with quick wit and a lyrical talent. Sure, there are still songs about girls and drugs, but ‘Blame Miss Barclay’ is refreshing in the sense that it covers things that really matter – euthanasia, homelessness and racism – and slots them in amongst songs about partying and bike riding. It makes the album a breath of fresh air, as well as smart and occasionally deep. It’s something Mikill Pane, real name Justin Smith Uzomba, has done throughout his career and as per usual he finds a perfect balance that makes his debut album fun and thought provoking in equal measure. None of that would matter much if Pane wasn’t any good at actually rapping, and thankfully he is. He may not be the quickest but he’s easily one of the best when it comes to writing. Clever line follows clever line and the tracks are jammed with quirky wit and an attention to detail. The way numerous songs link together is nothing short of genius and with each listen I still find something new to enjoy and commend, and it’s rare to find an album that continues to surprise and intrigue after almost a hundred playthroughs. How many British rappers have written songs as genuine as ‘No One Gets Left Behind’ and ‘Life On The Line’? 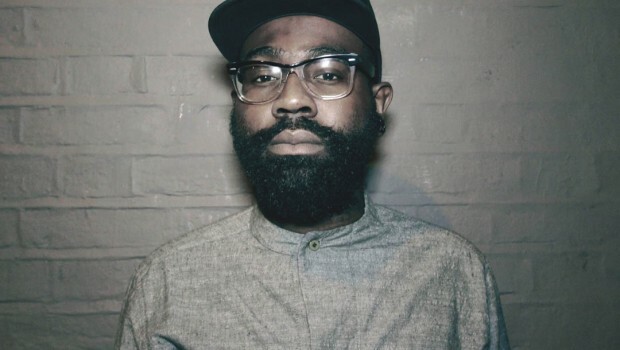 Very few, and chances are none of them did it as well as Mikill Pane. For me, hip hop hasn’t sounded better this year, and Mikill Pane’s debut album is remarkable in the sense that it proves there’s still a lot of ways to be creative as an artist without adhering to genre clichés. Chances are I’ll probably compare every hip hop album from 2014 onwards to Blame Miss Barclay until I hear one better. Bear in mind, it took nine years to match A Grand Don’t Come For Free.